But beware! 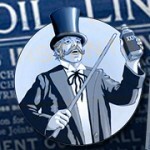 There are a lot of snake oil salesmen out there. Every day, multiple times a day, we receive emails from yet another Top SEO Company promising us that if we were to use their services our site would be on top of all the search engines in the world within 24 hours. Besides the fact, that Google specifically states that you should never believe anybody who guarantees rankings, you promise to do that for which keywords, terms and phrases? Only $299 to get you started! Only $199 per month! Really? WOW. My question: WHY? Go ahead, name 10 search engines. Do it now. How many were you able to come up with? Because you are special we will only charge you the ridiculously low amount of $5,000 for this incredible service if you buy it today. For what purpose? I already have a website. Stay away from this practice! These sites are called doorway pages, and their only purpose is to spam the index of a search engine. We use the (magic) keyword META tag. Reality check: It’s almost 2012, and Google dumped the keyword META tag in September 2009. While Yahoo! still reads it, the keyword META tag’s relevance is the lowest in their ranking calculations. Impressive. But is it qualified traffic? Are these "visitors" even remotely likely to convert? And what the heck is a conversion? Hooray! Finally, I found someone who does. I’m SO glad and will be forever grateful you chose to talk to me. [/sarcasm_off] ‘Nuff said. Great. I admire your social skills. Given the amount of employees Google has, this might even be true. And sure this person single-handedly controls and knows about the inner workings of Google, and he is only willing to give it to you. More red flags: Who are they? A reputable company will not use a gmail, hotmail, yahoo or other free email account to promote its services. Sometimes these emails originate from some untraceable domain (protected by Domains by Proxy, Protected Domain Services or similar). Why would a real company need to hide who they are and how they can be contacted? The website is "Under Construction"
You try to access their website, and there’s either nothing there, or it shows an "Under Construction" page or simply a default parked domain page. Ask them to send you an email! And then look for the red flags in the email. Ask for promotional materials and/or collateral. 10 minutes of research can save you hundreds, maybe thousand of dollars. – Check their domain name, website and reputation. – If possible, contact previous clients. – Check for a physical address and phone number. – As mentioned before, check for business licenses. If they are so good and so marvelous, why do they have to send you unsolicited emails? Wouldn’t everybody be on position #1 if what they’re saying was really possible?